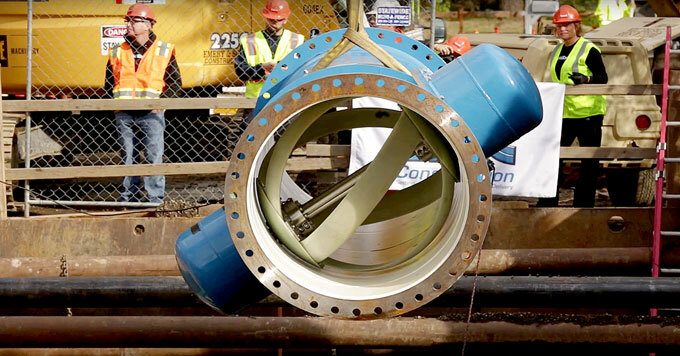 Turbines installed inside water pipes generate electricity. Screenshot from Lucid Energy video. To reach your tap, water flows through a network of pipes. One company is using the pressure in those pipes to create energy.